With effortless and surging acceleration, go big with the VN2000 Classic. 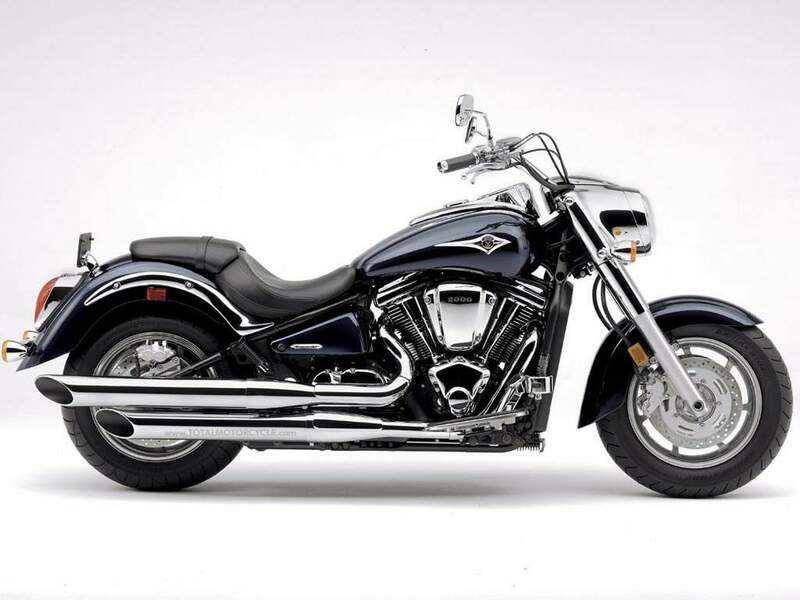 Fascinating V-twin lines, big power and just a touch of modern convenience enables the Vulcan® 2000 cruiser to cut a stylish swath through the pack. Its ideal blend of old and new delivers more of everything riders expect from a cruising motorcycle. 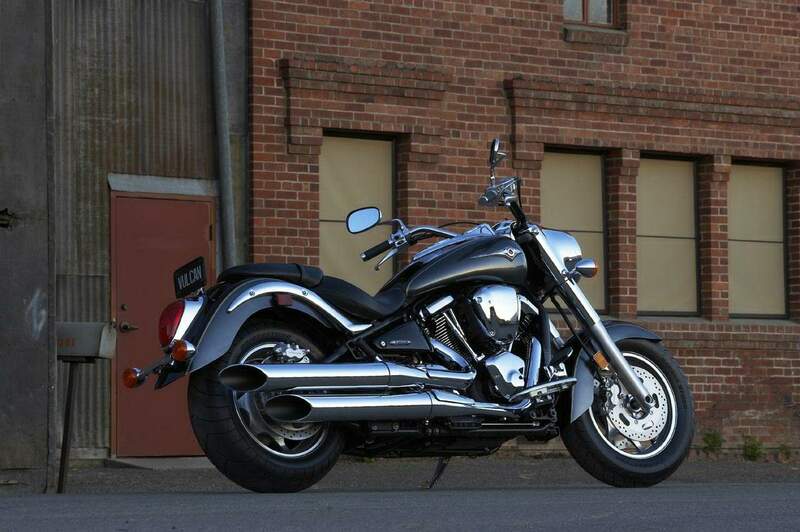 The Vulcan 2000’s innovative style begins right away with a smooth nacelle wrapping around the powerful four-bulb, projector-type headlight. The flowing, slippery avant-garde image continues back from the fork and its upper covers, painted lower legs and inner brake discs. The speedometer and air cleaner covers maintain this appealing fluidity as the Metallic Titanium color contrasts with subtle matte black frame that binds the pieces together with an eye-satisfying balance. This liquid style flows through a roomy cockpit. A stylish and informative instrument panel features LCD display and warning lamps mounted in a V-shaped panel and a large-face speedometer and sits atop the stretched flange-free fuel tank. Seamlessly integrated with the tank is the shapely bucket-type saddle complete with a locking sleek, low profile passenger seat, both providing all-day riding comfort. 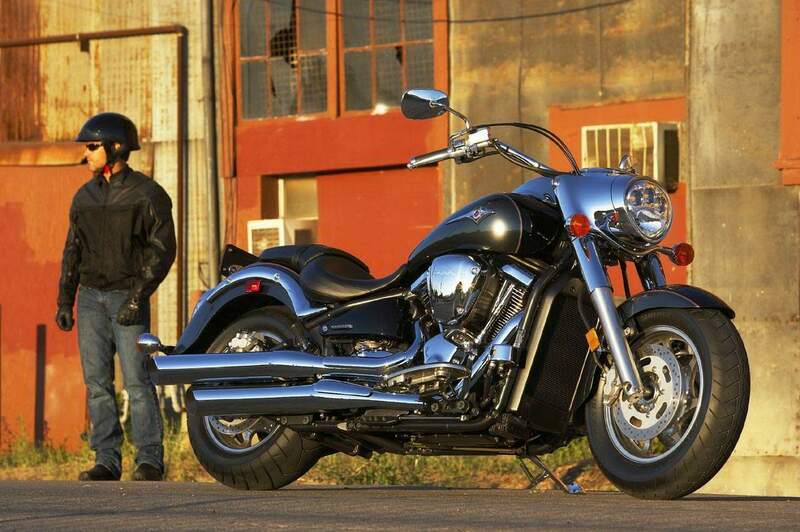 Moving beyond the stunning looks, it’s the Vulcan’s massive 2,053cc V-Twin heart that really gets the blood pumping. The fuel-injected engine has a 103 x 123.2mm bore and stroke, forged pistons, alloy-steel connecting rods, a huge 220mm flywheel, and dual cams located within the one-piece crankcase. Right-side pushrods actuate four valves per cylinder and help reduce the 125 cubic inch engine’s height; allowing a low center of gravity and relatively low seat height. Hydraulic valve lash adjusters automatically maintain zero valve clearance and provide a smoother, quieter operation. Parallel to the Vulcan 2000 frame, matte black finishing on the cylinders provides a dramatic contrast to the polished cooling fins, which manage the temperatures for the bottom three-quarters of the engine. The top quarter of the V-twin engine is liquid cooled. Further cooling assistance comes via the oil and water pumps incorporated in the engine and transmission – which also serves as the oil tank. Feeding the big V-twin is a fuel injection system with dual 46mm throttle bodies and sub throttle valves all managed by an electronic control unit (ECU). Combined with an iridium spark plug ignition system, the sub-throttle valves and fine atomizing injectors deliver a sharp throttle response, big power and optimum fuel economy in a smooth, linear powerband. That classic V-twin rumble from the Vulcan’s dual polished mufflers – thanks to its single-pin crankshaft – will delight cruiser enthusiasts. Vibration dampening dual counter balancers and rubber engine mounts will broaden their smiles even further. The engine is utilized as a member of the Vulcan’s steel, double-cradle frame, which has a large-diameter, box-section single-tube backbone. A simple but elegant rear steel tube swingarm suspension with a direct-action single shock provides 3.9 inches of travel, and includes spring preload and rebound adjustment. Up front, a large 49mm fork provides more precise steering feedback and 5.9 inches of travel. A 150/80 front radial tire and a huge, 200/60 rear radial tire on bright, cast aluminum 16-inch wheels is how the Vulcan 2000 rolls. Dual 300mm front disc brakes with four-piston calipers and a single rear disc brake with a two-piston caliper deftly handle the stopping duties.